Customer information is gathered for the purpose of communication with customers, fulfilling customer orders, and for internal marketing purposes. Under no circumstances will we sell or give any personal information collected to marketers, publishers or any other outside source with the exception of parties that are directly involved with the sale or delivery of our products. Tracking software is used to analyze traffic to this web site. This software does not create individual profiles for visitors. Unlike some tracking services this tracking does not have a database of individual profiles for each visitor. It only collects aggregate data. If your item is in stock we will make every effort to ship your order 24-48 hours after receipt of your order. Orders received after 3pm Pacific Time will be processed the following day. We do not process orders past 3:00 pm on Friday through 8:00 am Monday morning, or major U.S. holidays. When a package is in transit, shipping times DO NOT include weekends. Unless otherwise specified, your order will ship by UPS Ground to locations within the continental United States . At this time, we cannot ship outside the United States. If you are from Canada or another country, please visit our Ebay store as Ebay utilizes an international forwarding service should you elect to do so. All orders are shipped complete. If we are out of stock on an item ordered, we will attempt to order it from our warehouse. If your part is on backorder, we will notify you as soon as we are alerted. Tracking information, when available, will be sent via email within 24 hours of shipment. Smart Quality Parts offers an industry leading 2 YEAR, UNLIMITED MILEAGE warranty on all parts purchased. We trust these parts on a daily basis at our repair facility and fully support them. If a part fails within this time period we will replace it or refund the full value of the part purchased. 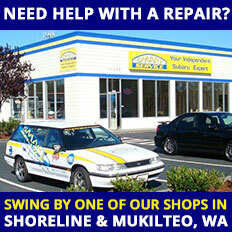 Subsequent damage, labor charges, loss of work or time, travel and tow expenses etc are not covered under this warranty. Part failure due to incorrect installation, abuse will not be covered. For head gaskets, we may require proof of cylinder head machining and engine block surface flatness measurements to validate a warranty claim. In the event an item must be returned please contact a returns representative before returning any item to Smart-Service.com for a return merchandise authorization (RMA) number. Damaged or missing items must be reported within 24 hours. Item must be returned within 30 days from date of purchase. Please do not return any item without an RMA # or it will be refused. Purchaser responsible for all shipping costs. Item must be returned in as new condition with all original packaging. Original invoice must accompany returned item with RMA reference number and brief description of problem with item. NO RETURNS on items that have been installed, items that were damaged by buyer and or electronic components. All items sold are inspected for damage before shipment and are shipped in new condition. Smart-Service.com is not responsible for items damaged in shipping. Returned items returned in error or unwanted items will be subject to a 20% restocking fee. Shipping charges are non-refundable, except in the event that you were shipped the wrong items. Refunds will be made in the form of a check within 30 days of return. Use of the SmartQualityParts.com website is governed by the terms and conditions set forth below. Use of this website indicates your agreement to all the terms and conditions set forth in the following paragraphs. Smart Service grants you a limited license to access and make personal use of this site and not to download (other than page caching) or modify it, or any portion of it, except with express written consent of Smart Service. This license does not include any resale or commercial use of this site or its contents; any collection and use of any product listings, descriptions, or prices; any derivative use of this site or its contents; any downloading or copying of account information for the benefit of another merchant; or any use of data mining, robots, or similar data gathering and extraction tools. A content on this website is the sole property of Smart Service Inc. © 2018 ALL RIGHTS RESERVED. This site or any portion of this site may not be reproduced, duplicated, copied, sold, resold, visited, or otherwise exploited for any commercial purpose without express written consent of Smart Service. You may not frame or utilize framing techniques to enclose any trademark, logo, or other proprietary information (including images, text, page layout, or form) of Smart Service and our affiliates without express written consent. You may not use any meta tags or any other "hidden text" utilizing Smart Service's name or trademarks without the express written consent of Smart Service. Any unauthorized use terminates the permission or license granted by Smart Service. You are granted a limited, revocable, and nonexclusive right to create a hyperlink to the home page of Smart Service so long as the link does not portray Smart Service, its affiliates, or their products or services in a false, misleading, derogatory, or otherwise offensive matter. You may not use any Smart Service logo or other proprietary graphic or trademark as part of the link without express written permission. Order Acknowledgement: Once your order has been received, you will receive an automatic email order acknowledgement. If you do not receive an acknowledgement, please telephone Customer Service at 1-866 -417-0880 for confirmation that your order has been received. Performance parts have been designed and are intended for off highway application only and are sold “as is”. Installation of these parts on a vehicle intended for use on public roads may violate state or federal laws and regulations including those relating to emissions requirements and motor vehicle safety standards. Federal and many state laws prohibit the removal, modification or rendering inoperative of any part or vehicle system affecting emissions or safety. Violations may result in a fine of up to $10,000 per vehicle. In addition, installation of this part may void warranty coverage of your vehicle. Advertised prices and available quantities are subject to change without notice. We cannot confirm the price of an item until the order is placed. Smartqualityparts.com is a separate division of Smart Service, Inc. Prices listed are for online purchase only. Over the counter sales will be priced at standard retail rates. We reserve the right to cancel an order for merchandise that has been advertised on the site in error, including errors contained in the product descriptions, and the advertised price. Once an order has been placed, the customer can cancel the order without penalty prior to the order entering into the production/fulfillment cycle. All orders will be made by the bank cards identified on the payments page unless prior arrangements have been made for an alternative payment plan. All amounts due for taxes and assessments will be added to the customer's invoice and are the responsibility of the customer. No tax exemption will be granted unless the customer's "Exemption Certificate" (or other official proof of exemption) is already on file. If, after the customer has paid the invoice, it is determined that more tax is due, then the customer must promptly remit the required taxes to the taxing authority, or immediately reimburse the provider for any additional taxes paid. Sales tax will be added to orders placed within the State of Washington at your county's rate. We reserve the right to make changes to our site, policies, and these policies at any time. If any of these conditions shall be deemed invalid, void, or for any reason unenforceable, that condition shall be deemed severable and shall not affect the validity and enforceability of any remaining condition. You agree by entering Smart-Service.com that any legal action brought against Smart-Service.com shall be governed by the laws of the State of Washington without regard to its conflict of law principles. You agree that the sole jurisdiction and venue for any litigation arising from your use of or orders made on the Smart-Service.com site shall be an appropriate federal or state court located in King County, Washington. Phone orders are available for a $18.00 processing fee. The fee is to cover our expenses for manually entering the order into our point-of-sale system. To receive the best pricing, we encourage you to order through our secure online store. Get exclusive deals and updates. 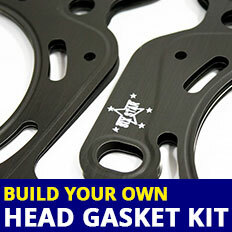 SmartQualityParts.com is an independent parts retailer and is not associated with Subaru, Fuji Heavy Industries or Subaru of America.